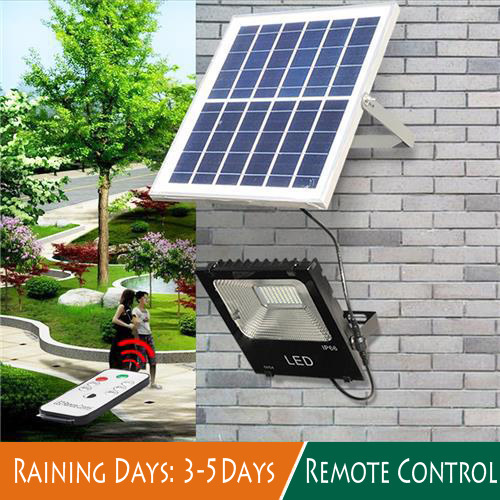 100w solar power led flood light, solar powered, With remote control, PIR Motion Sensor Outdoor Garden Security Lights, easy DIY installation with a 4-6m cable provided for users. 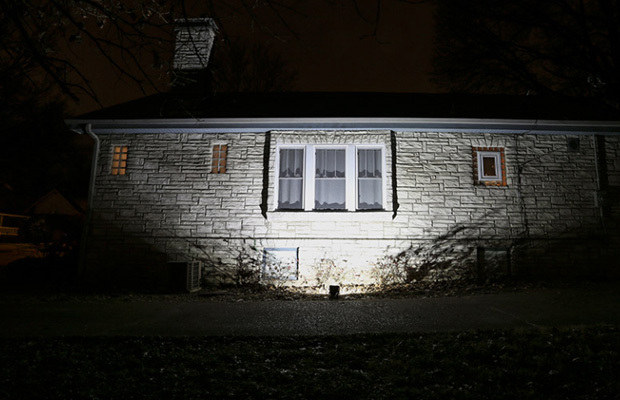 The Solar-Powered Floodlight has 12 Super-bright LEDs that automatically turn on at dusk. Solar flood lights can be installed in just about any location with no need for access to traditional power. 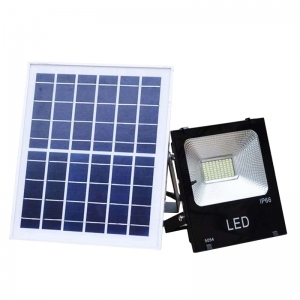 This Solar LED Flood Lights (TYN-GY-02 Series) are Appropriate for Signs, landscaping, highlight lighting, porches, decks, patios, flagpoles, mail or garbage areas. Perfect for flags, signs, gardens, driveways, parking lots, outdoor storage spaces, decks, porches, or any large outdoor area where lighting is needed. 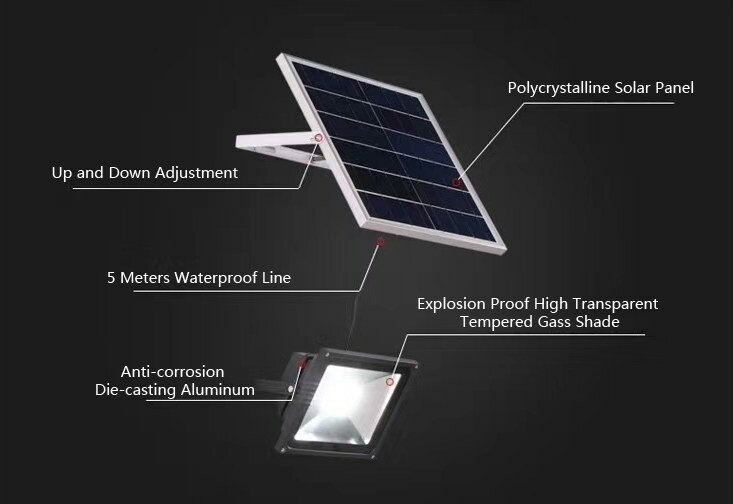 1) Recharged by solar panel under sunlight, wireless solar charging,more convenient to use. 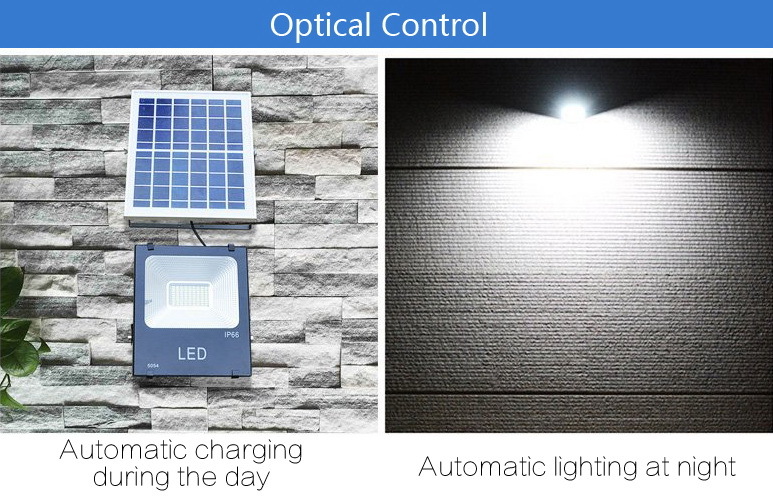 2) High performance of water resistance, it can be applied outdoors that needs to be illuminated, such as garden, landscape, lawn and so on. 3) No electricity cost, eco-friendly and safe for your family. 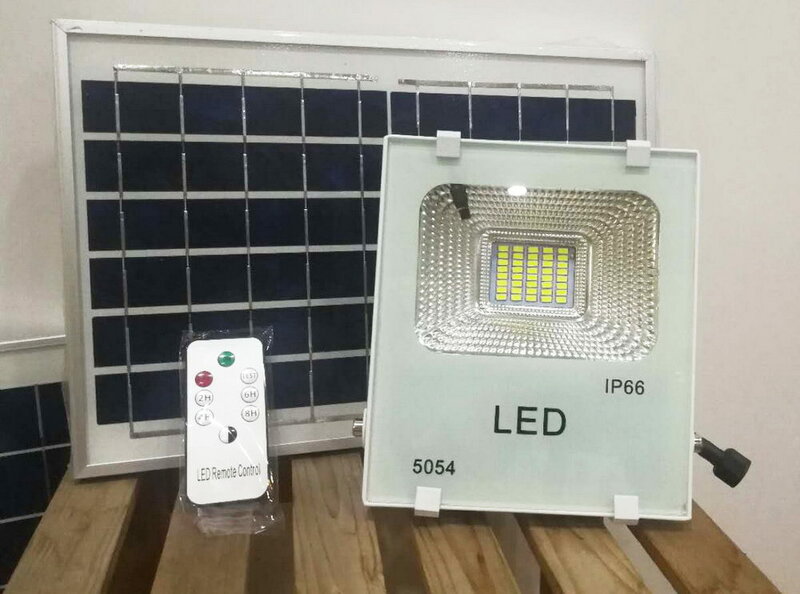 4) This solar flood light will turn on at dusk and turn off at dawn automatically after turning on the switch. 5) Easy installation and high efficiency. 6) Actual Bright Light: Over 1,000 Lumen Super bright Solar Flood Light. Ability to brighten up a driveway, backyard. 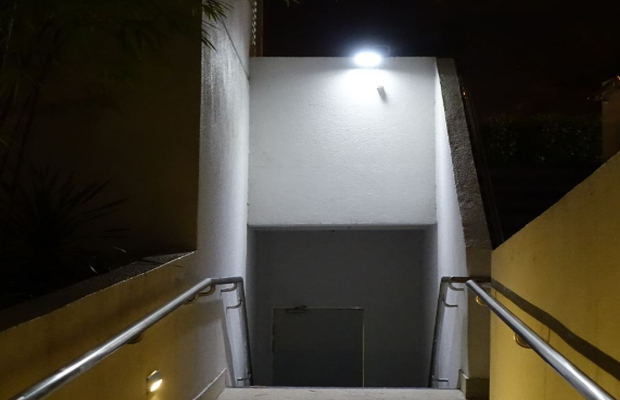 Works great as a security light. 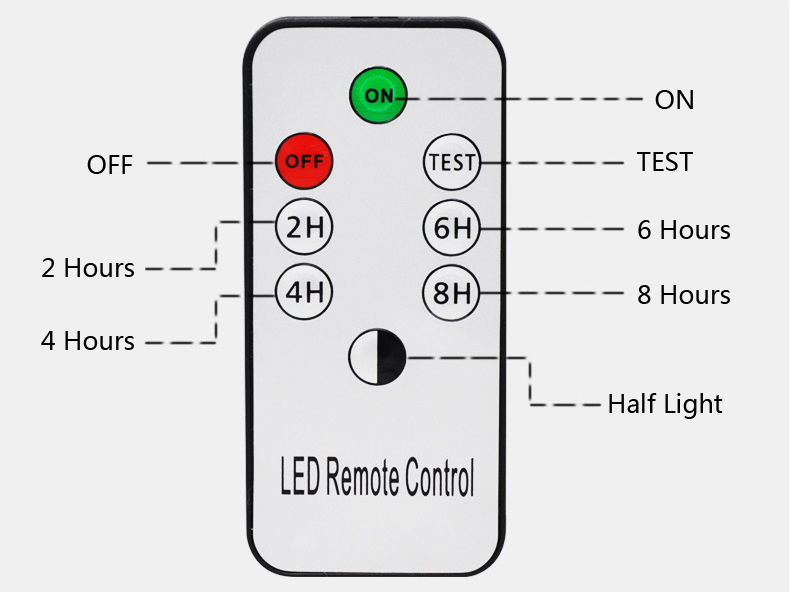 Use around the house or business for security. 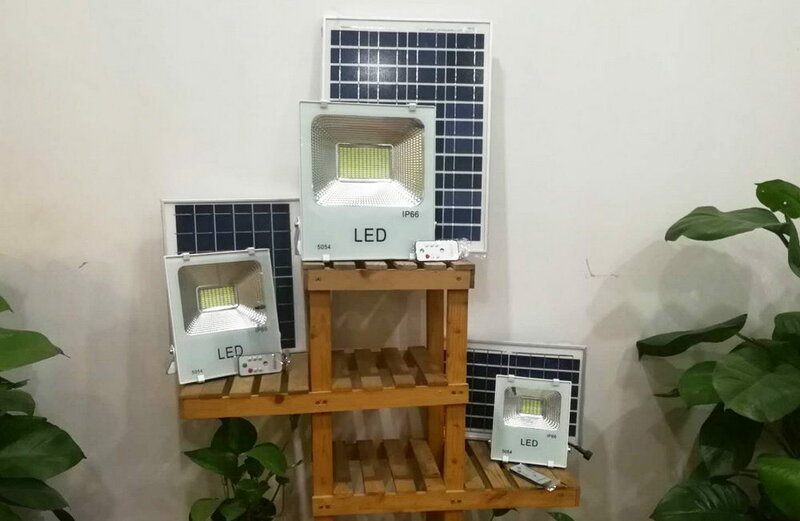 7) Remote Control: Solar flood lamp can be adjusted 4 levels brightness(100% -80%-50%-20%) and closed &opened by remote controller. 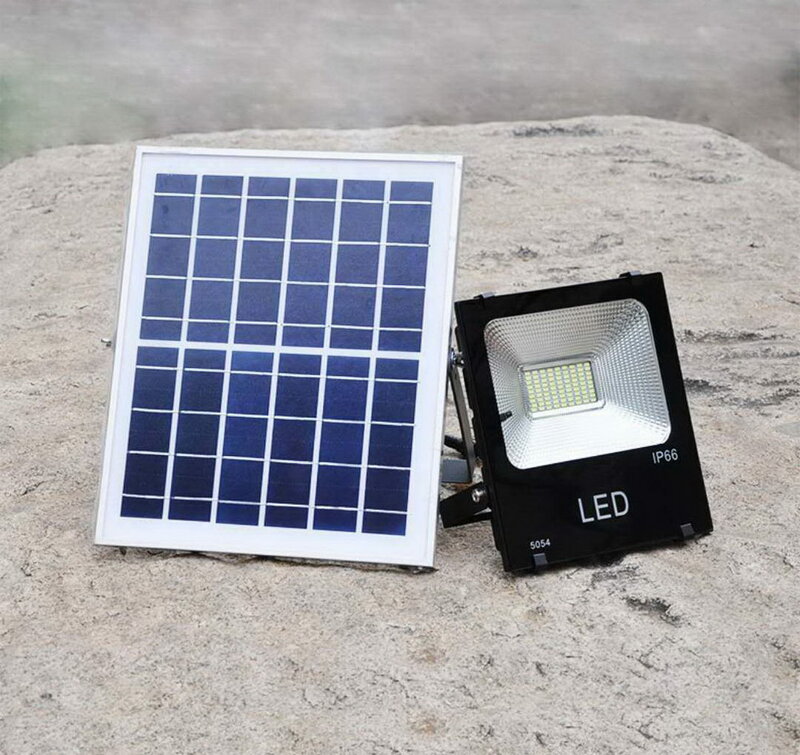 8) Intelligent Working Solar Lamp: Outdoor solar lamp work at night and stop at down automatically. 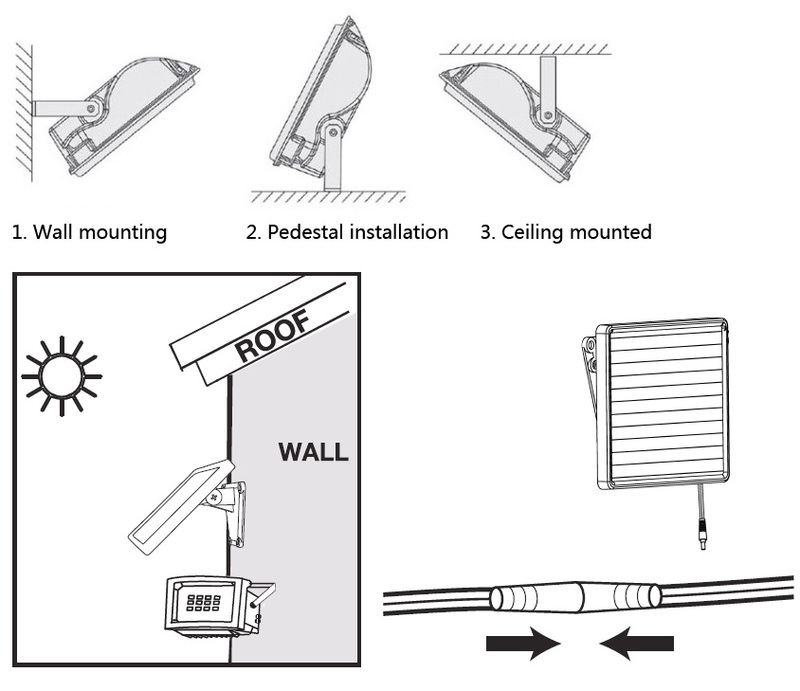 9) Easy Installation and Adjustable:Direct mount onto wall or other surface. Solar Panel and LED are mounted separate to get the correct angle. Adjust the angle as needed to position the light. Includes 5 meter cable. 10) Long Life Solar Battery:LiFePO4 battery has good performance than Lithium Battery and lifespan 5-8 years. 11) Quality and Grade: CE and ROHS certified. 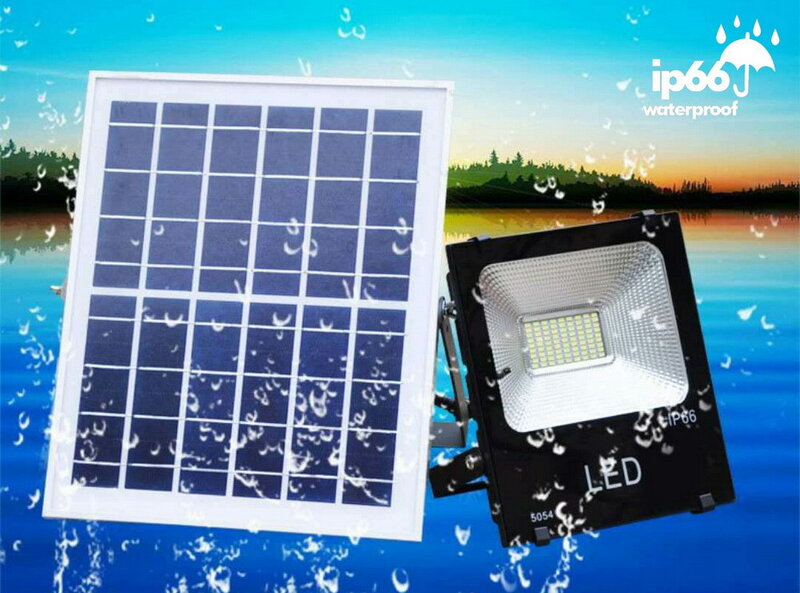 IP67 Outdoor waterproof.